He posted tips on how to blog a long time ago (2006)- I prefer to not even think of a blog as a blog anymore- it’s just a website using a great easy to use Content Management System that happens to put things in reverse chronological order by default (you can change almost anything you want about how your site displays in WordPress- so don’t get hung up on this). 1. Think “book” not “diary.” First, a bit of philosophy: my suggestion is that you think of your blog as a “product.” A good analogy is the difference between a diary and a book. When you write a diary, it contains your spontaneous thoughts and feelings. You have no plans for others to read it. By contrast, if you write a book, from day one you should be thinking about spreading the word about it. If you want to evangelize your blog, then think “book” not “diary” and market the heck out of it. via How to Change the World: The 120 Day Wonder: How to Evangelize a Blog. Of course, since I provide a link- you can go read the others. 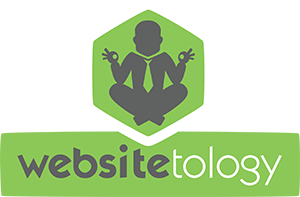 Of course, we give you an awesome start to this in the Websitetology seminar. So we hope you internalize all this- then join the world wide web and let your voice be heard. Evangelize something- a cause, yourself, your business. It pays off. And- make sure your passion comes through, because, if you love it- others will too. At geek tech conferences, there is almost always a “backchannel” going on these days over twitter. Audiences are sharing their thoughts in 140 characters or less, in real time about the speaker using a #hashtag. Teachers are always trying to combat student apathy and University of Texas at Dallas History Professor, Monica Rankin, has found an interesting way to do it using Twitter in the classroom. Rankin uses a weekly hashtag to organize comments, questions and feedback posted by students to Twitter during class. Some of the students have downloaded Tweetdeck to their computers, others post by SMS or by writing questions on a piece of paper. Rankin then projects a giant image of live Tweets in the front of the class for discussion and suggests that students refer back to the messages later when studying. via How One Teacher Uses Twitter in the Classroom. I’ve started using twitter to take notes when at events, coming back to a tweet stream that captured in realtime not just what I was thinking- but feedback from my followers. Watch as social media andÂ social networking in realtime and in real space becomes normalized behavior in more places over time.